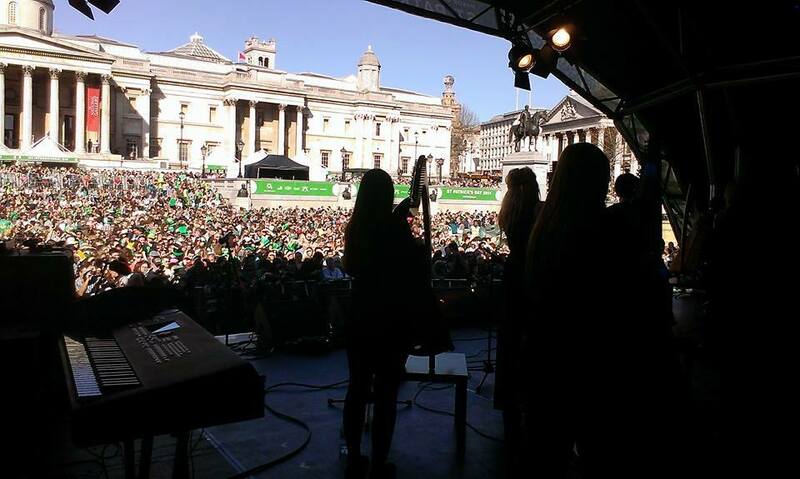 Performing alongside Riverdance, Kila and the Committments, 12 members of the Irish Harp Orchestra performed on the main stage in Trafalgar Square London on Sunday, 16th March for the great St Patrick’s Festival 2014. 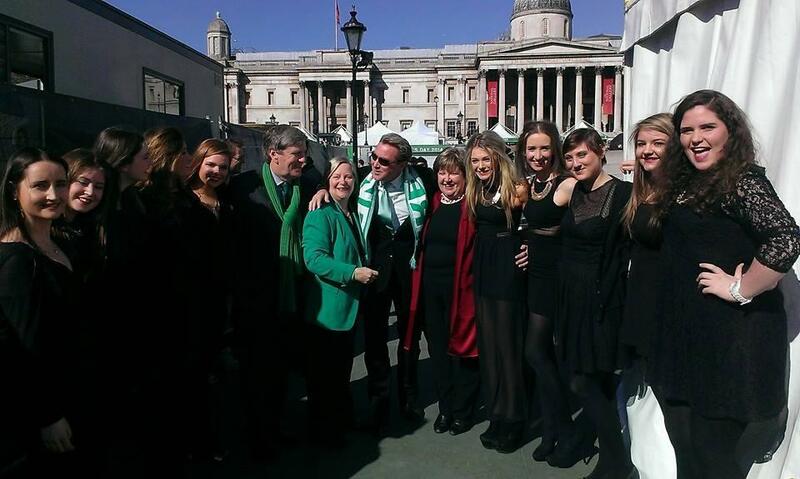 The audience was in excess of 60,000. 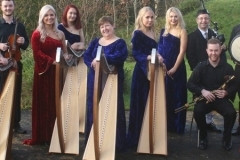 Included in the Harp Orchestra’s programme was an exerpt from Janet Harbison’s forthcoming stage production entitled ‘Brian Boru: Lion of Ireland’ which will feature at the Brian Boru Millennium Festival in Limerick from August 18th – 24th, 2014. 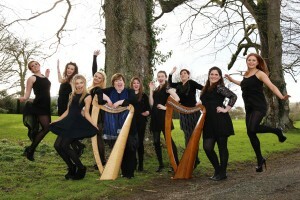 The bagpipe soloist was renowned Donegal piper Antón Doherty who joined the all-girl cast of the Harp Orchestra for the London adventure.